Hope you’re having a beautiful start to your week! Eye this dress — totally acceptable party garb ya? 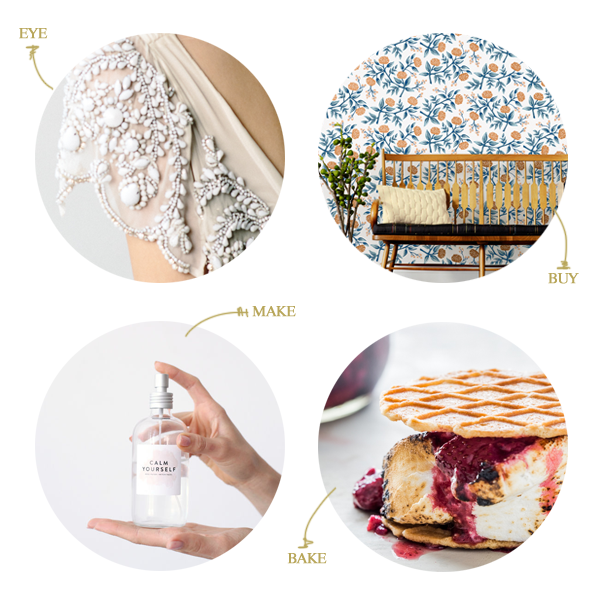 Buy Rifle Paper Co. wallpaper! Make this diy face mist. Bake these roasted berry s’mores. Money mojo for creative entrepreneurs. A June playlist from The Flashdance. Huckle & Goose – such lovely seasonal recipes they’ve collected here. roasted berry s’mores? ROASTED BERRY S’MORES! yes please! !